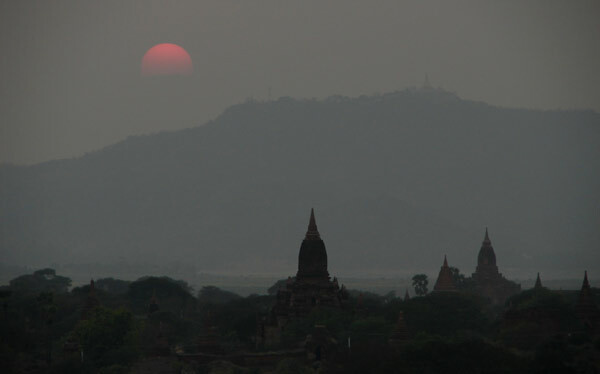 Bagan is probably the most spectaculare place in Myanmar. It's a paralell to the Ankor Wat in Cambodia, but maybe less touristy. 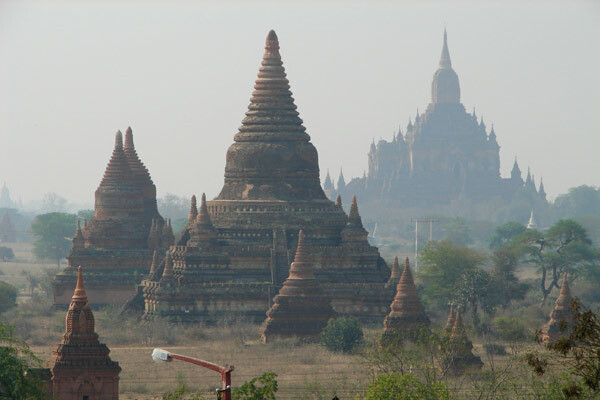 It has a history back to th 10th century when it was the centre of the first Burmese Empire. During the 12th century more than 4000 religious monuments were built here. Temples, palaces and stupas. Late, during several hundreds of years the place was haunted by nats, burmeese spirits, and no one dared to live here. 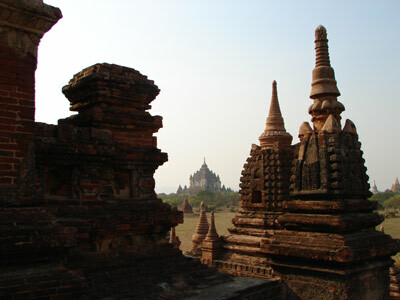 Until the 1990th Bagan was still a living village. But then the gouvernment suddenly deside that everyone had to leave and declared the city an "archeological zon". The inhabitants was simply forced to move out. 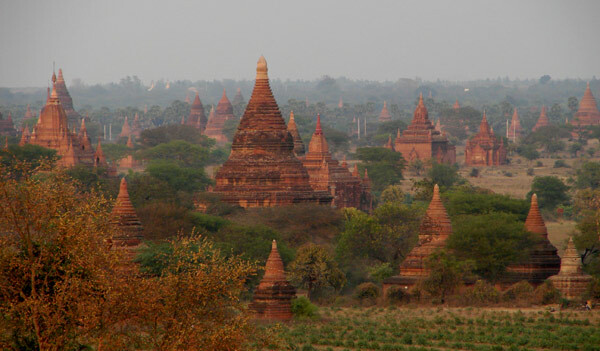 Most of them moved to a new built village, the "New Bagan", a couple of kilometers southwards. I traveled to Bagan by boat on Ayeyarwady river from Mandalay. 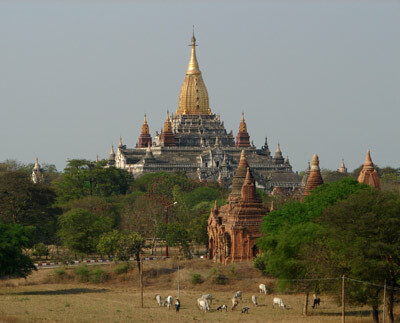 When approaching Bagan from the water side, allready the first impression is fairytaleisch. Towers and pinnacles raises through the bushland. Some stupas are well preserved, others not. The recent years of growing tourism has brought new money to the area, and more buildings are restored. New stupas are also built, either by really religous donations or by rich people, probably with a bad conscience. As you know, the Buddhists belive in reincarnation. So death it self is not frightening, but what if you where reborn as a frog...That's frighening. You better be sure to make your donations in time. The majestic Ananda Temple raising in the background of some smaller stupas. 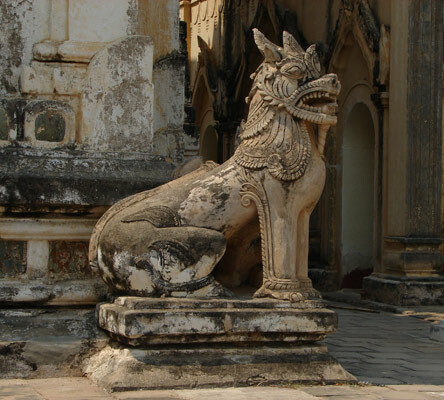 One of the lions guarding the Ananda Temple. 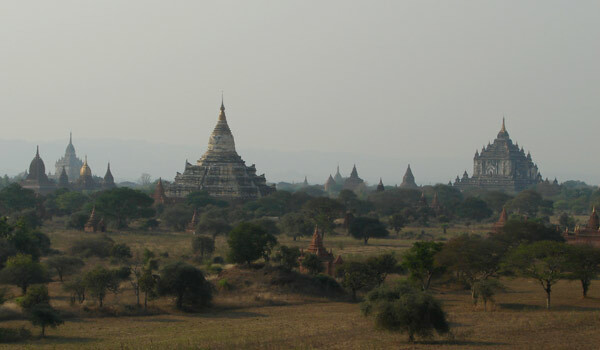 Bagan lays in a sandy bushland. It's not a very big area. You could cover the whole archeological zon by bike, if you are in a reasonable good condition. The small sandy paths in between the stupas could be a bit tricky though. Get a good bike with broad tires.If you find one. The bikes are generally in bad conditions in Myanmar.